Welcome to my website. Whether it be buying or selling a home , I am committed to helping you meet your needs. Please feel free to browse my website and do not hesitate to contact me for further information on buying or selling properties. Susan Keen has been a Real Estate Sales Representative since 1986, and is proud to have been associated with Re/Max since 1987. In 2001 Susan joined Re/Max Aboutowne Realty Corp. in Oakville, and is excited to be practicing real estate in her home town. Susan was raised in Oakville, then moved to Toronto where she studied marketing at Ryerson University, before beginning a career in sales. For several years, she successfully worked in other sales-related fields. She decided to apply her sales and marketing expertise to the Real Estate industry, where she enjoys consistent success. For twelve years Susan listed and sold homes in the highly competitive area of North York, Toronto. As a memeber of one of Toronto's most dynamic Re/Max offices, boasting over 250 sales associates, she consistently year over year ranked among the Top 10 sales associates in her office. In her final year with Re/Max Realtron she achieved the prestigious "Platinum Club" member status, a ranking awarded only to a small percentage of Re/Max agents. She is also a member of the Re/Max Hall of Fame and Re/Max Lifetime Achievement Award. Susan has achieved high standards of excellence with Re/Max Aboutowne obtaining "Platinum Club" membership in 2006, 2008, 2011, 2012, 2014, 2015, 2017. She consistently ranks amongst the top 5% of real estate agents in her office, ranking in the top 5 for written business in 2010, 2011, 2012, 2013, 2014, 2015, 2016, 2017 in the Lakeshore office! 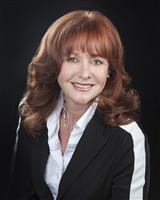 Susan is a member of the Oakville, Milton Real Estate Board, Hamilton Burlington Board and the Toronto Real Estate Board. Although extremely proud of these accomplishments, Susan's proudest achievement is that of mother to her son, Spencer and daughter, Nicole. With that in mind, Susan's family returned to the community of Oakville, in 1999. She is committed to her community, supports a number of charitable organizations and donates a portion of her commission from every property she sells to the Children's Miracle Network and Breast Cancer Foundation. Susan will listen to your concerns, and work to meet your needs and expectations. Excellence is her goal. She has gained a reputation among her clients and peers as being an excellent negotiator. Susan treats her clients as she would expect to be treated, and makes every effort to ensure no detail is overlooked from start to finish. Her superior sales and marketing background, excellent track record, and caring attitude, make Susan Keen a Realtor you can trust to get the job done. "I truly love what I do, I get great pleasure out of seeing my clients light up when they walk in to that perfect house!" Review the paper work for Seller / Buyer Agency(s). Prepare the listing. Upload the listing to multi media; Re/Max Global Network & Re/Max Ontario Atlantic (offers 34 languages of your listing), Re/Max Aboutowne Realty, keenhomesinoakville.com, realtor.ca, realtor.com, Google, YouTube, Homefinder.ca, Univs, HomeHippo, The Housing Block, Oakville Beaver, Burlington Post.com, Point2HOmes. MAXIMUM EXPOSURE!! Home Stager and staging items are provided at my expense to ensure your home is presented in its best light to ensure top market value. Qualify Buyers, Arrange all appointment and email you showing logs immediately. Call for feed back from all showings and email / call you with comments ensuring you are kept up to date every step of the way. Follow up on any and all conditions to ensure smooth transaction. HOME SOLD! SOLD SIGN GOES UP!